The inaugural Age Without Borders Virtual Summit – 55 speakers from around the globe – from February 26 to March 4 was a huge success. It is billed as “the biggest virtual international gathering of thought leaders on aging ever held”, thanks to so many of our liaisons who participated as speakers. Jan Hively Interview from Kari Henley on Vimeo. The Pass It On Network is proud that 17 of the experts featured are country liaisons, program leaders or regional network liaisons for Pass It On. They are: Jan Hively (USA), Dana Steinova (Czech Republic) Elizabeth Isele (USA) Nan Bosler (Australia), Hans-Kristjan Gudmundsson (Iceland), Dirk Jarré (Austria), Cullen Hayashida (Hawaii), Ana Krajnc (Slovenia) Jean Walker (Tasmania), Leng Leng Thang (Singapore), “Parsu” Armoogum Parsuramen (Mauritius), Vsevolod Rozenov (Ukraine), Dieter Zwicky (Switzerland), Lynda Smith (South Africa) Dorian Mintzer (USA), Takeo Ogawa (Japan) and Teresa Tsein (Hong Kong). The enthusiasm from all involved … what was clear was the importance of young and old integration, old learning from young and visa versa, something which I have always considered to be very important so I was very pleased to see that. Speakers were very good and informative. The ability to access these high-caliber speakers and information from the comfort of home or while out exercising! The short sessions – that were easy to fit in and follow. The fresh, new ideas/approaches offered… not ones that are obvious and market driven. Small scale endeavours featured – Ibasho, German engineers Unexpected! Meeting’ people I’m familiar with through the Internet…. seeing and hearing them was a buzz! The group of experts, really top speakers with a lot of knowledge and, most of all, a new paradigm to offer that logically takes us from the view of aging as a “problem ” to aging as one of the keys to more inclusive, just, human rights friendly, economy solving and human evolving view. Having a wonderful library to consult at home when I want to – the talks were very motivating and I learned a lot. Did it change your attitudes? My perception of growing older was still pretty much negative. Several sessions helped to overcome that idea somehow”. Aging and living in these years became more positive and exciting. So many practical suggestions I will try to put into practice. The lifeblood of our network flows from and through our country liaisons. They are the live sparks we’ve discovered around the world. They are all active in the field of aging, fascinated by the global aspect of the phenomenon, ever-curious about what’s happening and seeking to benchmark, share with and learn from others. We all meet virtually at quarterly global teleconferences and during our regular Chat Room Sessions. Our network in Africa is growing steadily and we have great pleasure in welcoming a new country liaison from Nigeria, David Oludare Mark-Okusanya, known to most as David. His life underwent a total change because of a promise he made to his mother, Major Olubunmi Idowu Okusanya, on her deathbed inThis remarkable woman, who was both a nurse and a major in the army, founded the Family Ark Mission – Agency for the Aged – based in Lagos, Nigeria in 1994. 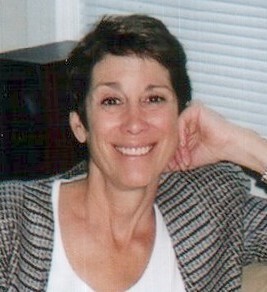 She asked her son to see to it that the organization continues to grow and fulfill its mission. “I had a choice – forget that promise, or keep it. I decided to keep it and that meant relocating to Lagos and acquiring new skills, so I went back to University to earn a doctorate in public administration. “I feel we’re just on the threshold of the aging revolution in Nigeria and planning ahead seems to me to be a very good idea. We have much to learn. I look forward to growing with the Pass It On network”. Gabriel, a psychologist and video specialist, is fascinated by the unfolding and rapid adaptation of society to the ever-growing number of dynamic seniors. His permanent home base is Rio de Janeiro but he sees himself as a citizen of the world curious to learn from what’s happening elsewhere. At present he’s in Paris doing a specialized course on professional autonomy and resilience. “I looked far and wide to find a course that would take me further in my studies and found the University of Metz that offered what I was looking for”. He represents Aging2.0 in Brazil and has extensive contacts in the field. “What I like most is exploring and exploiting the extraordinary resources the digital world offers us and creating programs and workshops to bring out the best in people stimulate their cognitive capacities”. For the last 10 years Dori Mintzer (left) has exploring the field of Revolutionizing Retirement – she offers free monthly conference call sessions on the subject. In February the interview was on Digital Globetrotting with the Pass It On Network with Jan Hively, Moira Allan, Cullen Hayashida (Hawaii) Hans-Kristjan Gudmundsson (Iceland) and Dieter Zwicky (Switzerland). Listen to the interview here. U3A SIGNPOST is an international monthly newsletter compiled in Australia that spreads information about Third Age learning opportunities around the world. The Pass It On Network is now one of many partner organizations that shares information about what’s going on and what’s coming up through U3A. WorldU3a also organizes websites, teleconference meetings and conferences for its partner organizations. Tom Holloway, the publisher of Signpost, has given Pass It On great coverage in the January 2017 issue of Signpost. View it here. Lynda Smith, CEO of the Refirement Network and Pass It On Network’s liaison in South Africa, is the new Chairman of the Healthy Aging Society of South Africa (HASOA) and is keen on building intercontinental contacts with Africa as well as connecting professionals and consumers at home. In 2015, South Africa hosted the second World Congress on Healthy Aging. The inaugural event was held in 2013 in Malaysia and the next event is due to take place in Turkey later this year. Encore.org’s Generation to Generation Challenge seeks applications from organizations and individuals who are thinking creatively about how to harness the skills and experience of encore-stage adults – people 50+ – in support of young people. Applications are open to ventures from all sectors (non-profit, government, for-profit) as well as individuals with a proven record of launching successful ventures. This is an idea that stimulates similar initiatives around the world. Meet the youngsters helping solve Japan’s caregiving crisis. Like Kunio Odaira, 72. Kunio Odaira, 72, started working at the Cross Heart nursing home in Yokohama, Japan, after retiring from his job in sales at an auto parts maker. At Cross Heart, more than half of the 119 caregivers are over 60, and 15 of them are over 70. 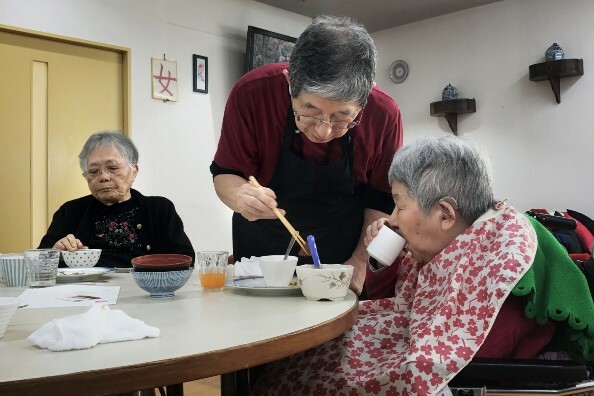 YOKOHAMA, Japan — It’s lunch hour at the Cross Heart nursing home, and a 72-year-old, slightly stooped man is spooning soup and filling tea cups. But Kunio Odaira isn’t one of the residents. He’s one of the staff, part of an increasingly gray workforce in an increasingly gray country. “I enjoy talking to the people here. It’s fun, but it’s also hard work,” Odaira said during a break from his caregiving duties on a recent day. 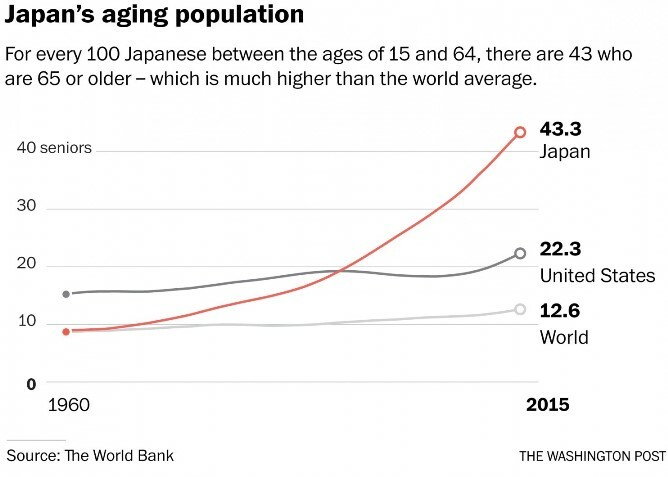 Japan is considered a “super-aging” society. More than a quarter of the population is over 65, a figure set to rise to 40 percent by 2050. The average life expectancy is 85, and that means many Japanese remain relatively healthy for a good two decades after retirement age. At the same time, the birthrate has plummeted to well below the level needed to keep the population stable. Now home to 128 million people, Japan is expected to number less than 100 million by 2050, according to government projections. For every 100 Japanese between the ages of 15 and 64, there are 43 who are 65 or older – which is much higher than the world average. That means authorities need to think about ways to keep seniors healthy and active for longer, but also about how to augment the workforce to cope with labor shortages. “When we advertise for people to work here, we get lots of responses from older people, not younger people,” said nursing home director Kaori Yokoo in the lobby where residents were doing leg curls and chest presses on weight machines. The foundation that runs this nursing home and others in Kanagawa Prefecture has raised the official retirement age to 70 but allows employees to keep working until 80 if they want to and can. Municipalities around the country are also actively recruiting people over 60 to do lighter duties at nursing homes. It’s one way of dealing with the problem. Meanwhile, researchers are working on robots that can lift the elderly out of beds and wheelchairs, and inward-looking Japan is slowly coming around to the idea that it may need to allow in more foreign workers. Although older workers have constraints — some can’t do the heavier tasks — they also offer advantages over younger workers who want time off for their children, said Yokoo, who is 41. Some of the older workers here are doing it because they need the money. For others, the money is a nice benefit, but the main motivation is the activity and sense of community. 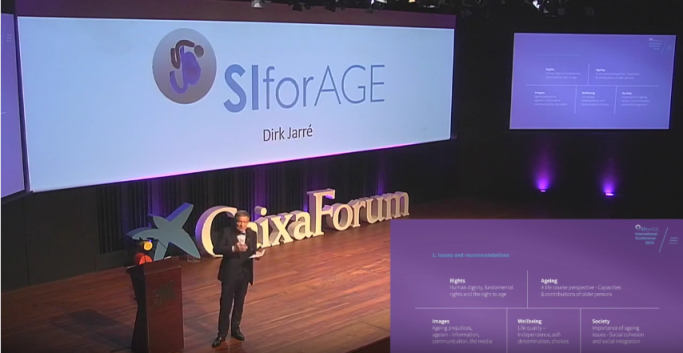 The SIforAGE project has produced a White Paper entitled “Making Choices for a Society for All Ages” as the product of a multinational four-year long European Union project. The paper details the work undertaken and offers 60 evidence-based recommendations for decision-makers. Involving over 2,000 stakeholders, the paper’s conclusions reflect a movement that affects both individuals and organizations throughout the society. The paper has been translated into 210 languages and can be downloaded here from their official website. The Active 80+ project was funded by the European Commission to prepare professionals and volunteers to recognize the strengths and potential of old people and support their continued learning and active citizenship. From 2014 – 2016, partner organizations in five European countries developed and tested research-based training for care staff and volunteers, enabling them to function as coaches who support old people in realizing their own ideas of learning and active citizenship. Useful publications are available in multiple languages at the Active 80+ website, including a Handbook for Trainers, and a Handbook for Practitioners. As Alzheimer’s Disease and other dementias expand along with the aging population, community leaders are trying to figure out what it takes to be dementia-friendly as well as conforming to the WHO guidelines for age-friendly communities. This chart shows the unique features that address the needs of people living with dementia, over and above what is needed within the eight domains of age friendliness. This useful guide for organizing teams to bring about community change is based on the Transition Network’s 10 years of experience in 1,400 communities in 50 countries. This is a great Starter Pack for you to develop practical projects that combat ageism and support positive aging. This report from Eurofound (the European Foundation for the Improvement of Living and Working Conditions) describes retirees’ motivations for seeking paid work, their opportunities for gaining employment, income adequacy, and the ways in which companies seek to recruit and retain employees. The EU report includes recommendations for governments, employers, and retirees. Although focused on the economic impact of the growing population over 50 in the U.S., this report by Oxford Economics for AARP is useful for any country with a rapidly aging population. It shows how the shifting spending patterns of older adults provide employment for nearly 100 million Americans, boost charitable giving, and contribute over half of tax revenue. It also quantifies the paid and unpaid productivity of people who are working and volunteering longer. This You Tube video shows an hour-long panel discussion about the “business of aging” convened by the Milken Institute in 2016, including Sarjbit Nahal, Bank of America; Jonathan Collie, author of “The Age of No Retirement;” Lynda Gratton, London Business School, co-author of “The 100-Year Life”; Baroness Sally Greengross, International Longevity Center; and Jodi Holtzman, AARP. 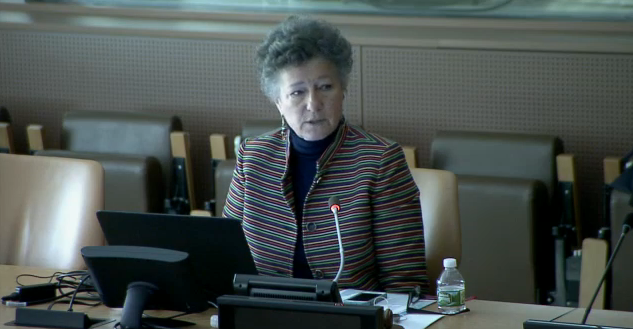 On 14 December, 2016, the United Nations Working Group on Aging in New York City heard Kathi Bailey, Director of Aging Services in Yarmouth, Massachusetts, USA, advocate using the existing infrastructure of the Model United Nations program in new ways, with intentional connections to Age-Friendly Community Development. This item follows up on the Model U.N. article in the December Newsroom. Here is the link to the videotaped presentation. Generations United has produced two stellar resources that show the value of intergenerational communities and guide community efforts to build connections between generations. A Toolkit for Building Intergenerational Communities that Recognize, Engage and Support All Ages. This resource from Generations United helps communities make intentional efforts to build connections between the generations. Learn more. Generations United: Because We’re Stronger Together. Generations United’s animated video is an engaging tool for educating and inspiring communities to embrace and invest in intergenerational solutions. Watch the video. Skilled Seniors teaching the younger generation at Les Talents d’Alphonse. You can join the growing number of lifelong learners from the four corners of the world choosing a additional way to learn – on line. For all information, go to www.u3aonline.org.au. “ I am the primary carer for my frail mother who at nearly 100 needs full time care now. Being able to access a service like this is one way to feel less isolated from the world outside. I am indeed much blessed”. “I’ll go as far as to say that being totally absorbed in my most recent online course has saved my sanity this year”. “I am a self-funded retiree caring for my wife with [dementia]. Because of her condition I am with her constantly and generally confined to home”. U3A Online offers a wide range of courses in five large categories: world affairs and history, writing and creativity, lifestyle and science and there’s a choice between self-study curses and courses with a leader. The tariff is always the same – an annual registration fee of 25 Australian $, and this gives you unlimited access to all the courses.